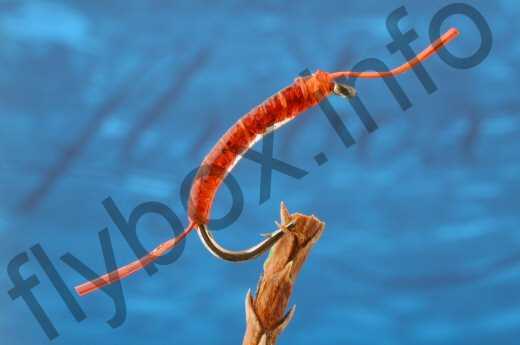 The Epoxy Buzzer Bloodworm often works when the trout have seen all the usual suspects. It is tied on a strong curved buzzer hook and has a very slim profile coated with epoxy to make it glass smooth, enabling it to cut through the surface film and sink that little bit faster. It can be fished on a floating or intermediate, very slow sinking, line. Currently there are no comments about the Epoxy Buzzer Bloodworm fly pattern from other fly fishermen yet.